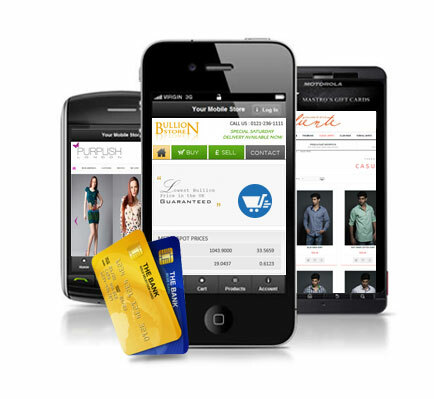 Shopping from mobile smartphones is expected to increase to 30% by the year 2015. This means that you could possible lose upto 30% of your sales if you have not adopted mobile commerce. We create m-commerce websites that allow your customers to complete a transaction online which can be anything such as buying a product, paying for a services, subscriptions, renewing a service, downloading a file or even submitting some forms. We will provide you with options for mobile payment solutions that suit your business needs. Get in touch with us today to see how you can add mobile commerce as an additional stream of revenue for your business. Increase conversion rates with Responsive Website Design as this is the future of mobile web development. Does your website work properly on all mobile devices? We design mobile websites that are specifically targetted towards mobile users. We develop apps for all major mobile platforms including Android, iPhones, iPads and various other mobile platforms. Whether you want to send mass text messages or if you need to integrate sms messaging with your website, we have many solutions.